Please note: Kin Beach Provincial Park is a classified as a Class "C" park, whereby the park is managed by a local community board. Located in the Comox Valley on central Vancouver Island, Kin Beach Provincial Park offers a large day-use area with picnic facilities and a playground, as well as a campground. This small park overlooks the Strait of Georgia and offers scenic views of the mainland. Visitors and local residents head to Kin Beach to explore the rocky beach or enjoy a picnic under the shade of mature Douglas fir trees. A large open grassy field is another feature of this park, situated in a quiet residential section of Comox near the air force base. A small store selling snacks and toiletries is located next to the parking lot in the day-use area. There are no developed trails at this park. There are no wheelchair accessible facilities at this park other than a large grassy area at the day-use portion of the park. There is no sani-station/dump in the park. Nearest facilities are Miracle Beach Provincial Park, or the Canadian Tire and Mohawk gas station in Courtenay. The nearest boat launch is at Kitty Coleman Park and at Point Holmes. 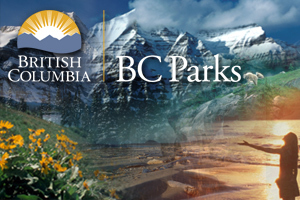 Campsite reservations are recommended and are available by calling the Park Caretaker at 250-339-6365. Group camping is available at Kin Beach Park. Call 250-339-6365 to reserve a site or to obtain more information. Kin Beach Provincial Park is located in the Comox Valley on central Vancouver Island. This park can be reached from the top of Ryan Road in Comox, right before the entrance to 19 Wing Comox. Turn left on Little River Road then right on Kilmorley Road. Stay to the left until you reach the park. Nearby communities include Courtenay and the Comox Valley. There are opportunities for canoeing or kayaking in this park. Paddlers can launch from the beach in the park. The waters around Kin Beach park are popular for angling. Salmon, rockfish and shellfish are the most popular species. Fishing is permitted as per provincial and federal fishing regulations. All anglers should check the current regulations issued by Fisheries and Oceans Canada prior to fishing. Anyone fishing or angling in British Columbia must have an appropriate licence. There is no designated swimming area at this park however there are opportunities for ocean swimming. At high tide, tidal pools form providing a safe area for children to swim. There are no lifeguards on duty at provincial parks. Fires are permitted at this park. You may bring your own, or purchase firewood from the Park Caretaker. Fees for firewood are set locally and may vary. To preserve vegetation and ground cover, please don’t gather firewood from the area around your campsite, or elsewhere in the park (this is a ticketable offence under the Park Act). Dead wood is an important habitat element for many plants and animals and it adds organic matter to the soil. You can conserve firewood and air quality by keeping your fire small. Limited burning hours or campfire bans may be implemented. Be prepared to bring a portable stove for cooking. Fires are not permitted on the beach. This park has 3 cold water taps, located at the day-use area and campground. Kin Beach Park has a large day-use/picnic area with a covered picnic shelter, picnic tables, grassy areas, pit toilets, fire pits, a woodstove, cold water taps and a tennis court. The day-use area also provides access to a rocky beach. A small store selling snacks and toiletries is located next to the parking lot in the day-use area. Pit toilets are located in the camping and day-use areas. Toilets are closed during the off-season. Kin Beach Park has a playground area with swings, teeter-totter, merry-go-round and a jungle gym. There are 18 vehicle-accessible campsites at Kin Beach Park. Reservations are recommended. A small store selling snacks and toiletries is located next to the parking lot in the day-use area. There is a camping fee charged and can be confirmed by contacting the Park Caretaker.